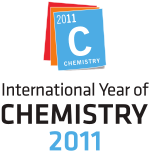 ^ 1.0 1.1 1.2 IUPAC National Adhering Organizations. Iupac.org. 2 June 2011 [8 June 2011]. （原始内容存档于2011年6月4日）. ^ IUPAC Council Agenda Book 2009 (PDF). IUPAC. 2009 [17 April 2010]. ^ 8.0 8.1 8.2 Project Committee web page. Iupac.org. 2 June 2011 [8 June 2011]. （原始内容存档于2011年6月29日）. ^ 10.0 10.1 10.2 10.3 10.4 Fennel, R.W. History of IUPAC, 1919–1987. Blackwell Science. 1994. ISBN 0-86542-8786. ^ 12.0 12.1 Christopher Brooks. The periodic table: how elements get their names. BBC Science. 14 November 2013. （原始内容存档于2015-02-16）. ^ 13.0 13.1 Per Enghag. The Elements- Origin, Occurence, Discovery And Names（元素 - 起源、出现、發現及名稱）. Encyclopedia of the Elements: Technical Data - History - Processing - Applications（元素百科全書：技術資料 - 歷史 - 加工 - 應用）. John Wiley & Sons. 8 January 2008: 55–78. ISBN 978-3-527-61234-5 （英语）. ^ Michael D. Gordin. Scientific Babel How Science Was Done Before and After Global English. University of Chicago Press. 13 April 2015: 178–180. ISBN 978-0-226-00029-9 （英语）. If the Boycott of German scholars from conferences was the short-term punishment for perceived misdeeds during the war, the IRC's second action would have more lasting consequences for the fate of German as a scientific language. ... To this day, IUPAC governs global chemistry, serving the court of final recourse to adjudicate discovery claims of new elements (and the right to name them, thus creating the internationally recognized standard nomenclature that had been noticeably lacking in the nineteenth century). Like many of these organizations, IUPAC was actually a reactivation of a prewar institution -in this case, the International Association of Chemical Societies, proposed in 1910 by Wilhelm Ostwald and Albin Haller, president of the French Chemical Society -but now with the Germans excluded. Cutting out the Germans implied cutting out German. German had been an official language, with English and French of the International Association; it was just obvious to the IRC's movers and shakers that it would not be permitted at IUPAC. 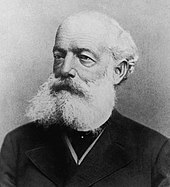 Concern over the dominance of German, especially within chemistry, had been simmering for some time. ... In all these international venues, German was proscribed, and only (alongside Italian) granted a subsidiary status in IUPAC in 1929. ... In 1932, for example, French was permitted as an official language at 351 (98.5%) of the international conferences that year, and English was 298 (83.5%). The boycott being over, German was officially permitted at 60.5% -nothing to sneeze at, but a far cry from the parity one would have expected in the prewar years. ^ 17.0 17.1 Kaderas, Brigitte. Wissenschaften und Wissenschaftspolitik: Bestandsaufnahmen zu Formationen, Brüchen und Kontinuitäten im Deutschland des 20. Jahrhunderts. Franz Steiner Verlag. 2002. ISBN 3-515-08111-9 （德语）. ^ United Nations Resolution 63/209: International Year of Chemistry. 互联网档案馆的存檔，存档日期2010-08-05. 3 February 2009. Retrieved on 24 April 2010. ^ 27.0 27.1 International Year of Chemistry Prospectus. Portal.acs.org. [8 June 2011]. （原始内容存档于2011年11月5日）. ^ IUPAC Current Projects. 互联网档案馆的存檔，存档日期2011-11-05. 9 May 2010. Retrieved on 9 May 2010. ^ CP and MOF Project. 互联网档案馆的存檔，存档日期2011-11-05. 9 May 2010. Retrieved on 9 May 2010. ^ 30.0 30.1 30.2 30.3 30.4 IUPAC Current Projects. 互联网档案馆的存檔，存档日期2011-12-07. 15 February 2010. Retrieved on 17 February 2010. ^ Halogen Bonding Project. 互联网档案馆的存檔，存档日期2011-11-05. 15 February 2010. Retrieved on 17 February 2010. ^ IUPAC Current Projects. 互联网档案馆的存檔，存档日期2011-11-05. 15 February 2010. Retrieved on 2 March 2010. Panel on Biochemical Thermodynamics. Recommendations for nomenclature and tables in biochemical thermodynamics. G. P. Moss, Queen Mary University of London. 1994.